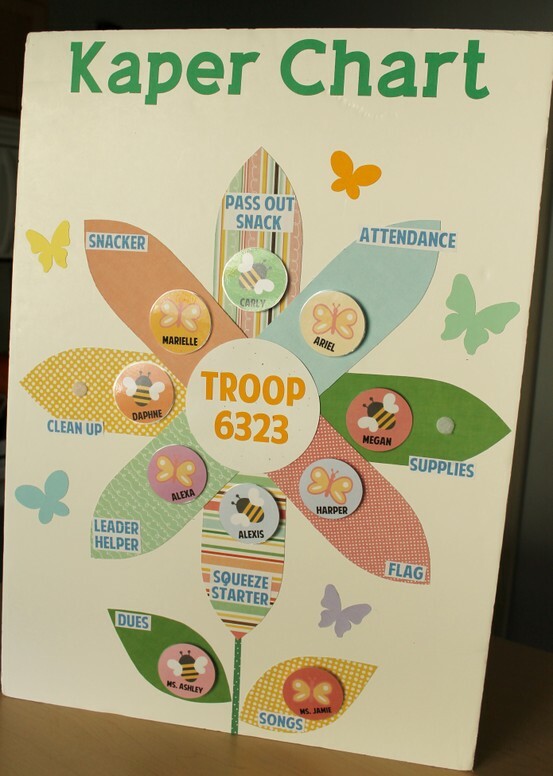 Girl Scout Leader 101: Kapers? What are they? You just helped this first time troop leader out BIG time!! Thanks for explaining what a kaper is and the suggestions for how to work them. I love the titles you give each one, and I'm excited to make a fun chart inspired by the ones you showcased! Thanks again! I too am a first time leader and this was a tremendous help to me. I really liked the magnetic kapers to the cookie sheet idea! Will be able to take this to my new troop and implement chores as a fun/learning activity! One more new leader saying thank you! This is exactly what I needed to read to simply the concept and get it into action quickly. This is great, thank you! I've never been a girl scout, so I'm not sure what "turn outs" are? I've read about the friendship squeezes, but can't find anything about the other. I think you are referring to the Good turn statements started by the Business assistant as she described: one of the old school parts of the promise or law was to "do a good turn daily," so each girl would share how she had done this recently. Otherwise, I think a "turn out" would be the closing circle, which we make by crossing the right arm over the left and holding hands with the next girl, then turn out from facing the middle of the circle to the outside (untwisting without releasing hands) which represents thinking of others more than ourselves. Does that help? One more new leader to say Thank You!! I’m brand new and needed some help!!! I’m working on mine tonight! !